For Mad Scientists Series #19 our brewers scoured dusty brewing tombs in ancient catacombs, and pored over old manuscripts by candlelight to unearth the historic recipe for the Finnish Sahti. Well… let’s just say we did our research. Renowned beer writer Michael Jackson wrote about Sahti in the 80s, calling it the oldest beer style still brewed today. It dates back centuries, perhaps a thousand years or more, and was made without a boil. Water heated in a cauldron called a muuripata, usually made for hot water in a Finnish sauna, was periodically poured in to regulate temperature. The mash was then strained into a kuurna, a troughlike vessel with a false bottom of rye straws and juniper twigs. In the 1500s, the kuurna would have been made of a hollowed out aspen log. These old beers were often made with rye and other grains high in protein, and since they were un-boiled and unfiltered, the beer would have tons of suspended proteins, and be as thick and full as you can imagine. The bitter, bright flavor of juniper berries was used instead of hops to counterbalance the sweetness of the beer. This near-flat and mightily strong brew would be supped from horns at great weddings and festivals across Finland. The yeast profile of the Sahti is essential to the beer’s flavor, and also a subject of debate. The Sahti of the 1500s would have been inoculated with wild yeast, and probably had a sour flavor similar to a lambic. Over the last few hundred years, though, some Sahti masters have been using a baker’s yeast that is relatively uniform in Finland, and one that produces banana and clove flavors similar to the German Hefeweizen. To this day, Finnish Sahti masters craft the ancient brew with traditional methods. Their equipment has not changed shape and they don’t use thermometers, instead testing the temperature with their fingers and the tips of their elbows. 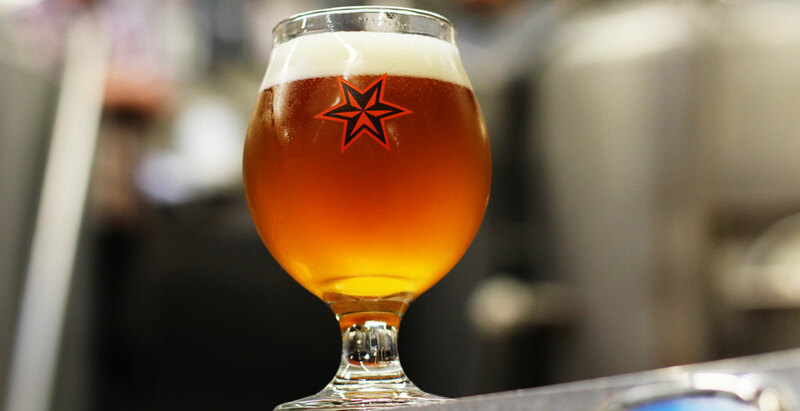 For the Sixpoint Sahti, we went with old school yeast, employing a Belgian Lambic strain that may have been much like what was floating around in the 1500s when Sahti was spontaneously fermented. We did boil our Sahti, as the un-boiled version brewed for large gatherings would only keep a few days. We used rye in the mash, adding body and earthy notes. We put juniper berries in the mash, and used no late addition hops, to recreate the flavor profile of this ancient ale. The result is a mix of sour and sweet, with a big, extra-full golden body. Mad Scientists Series #19—a Finnish Sahti, the oldest beer style still brewed today.